Delightful 2 level holiday house close to reserve, lake, jetty, trout fishing, boating, water skiing, kayaking, white water rafting and walks. 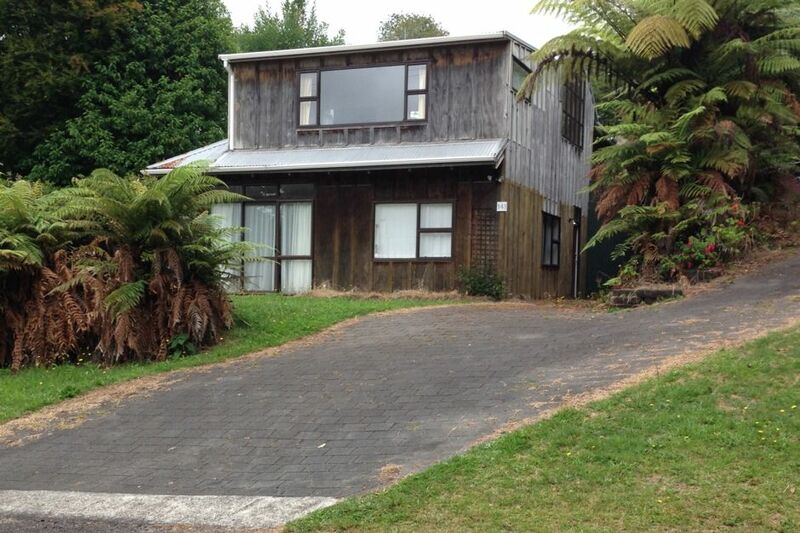 Located in the Okere Falls arm, the property has 2 bedrooms and 2 living areas. It is set up to sleep 6 but can accommodate more. Just a short stroll to the Lake Reserve and jetty and a little further to view the kayaking and white water rafting. Okere Falls boasts a 7 meter water fall which is extremely popular for white water rafters of all abilities. It is also a favourite among kayakers both locally and internationally. Lake Rotoiti is a popular boating destination and is fantastic for trout fishing and water skiing. You can cruise to the Manupirua Hot Pools which are thermal pools at the edge of the lake only accessible by boat. After your day out, walk down to the Okere Falls Store for some dinner or refreshments. Rates are for 4 guests using existing bedding and is set up to sleep 6. Additional guests will incur additional charges. Pets maybe allowed with prior approval. Public use of the jetty for boarding and mooring your boat for short periods is allowed but conditions may apply. The facility was built and is managed by the Okere Road Jetty Association. Open plan kitchen, dining and living room upstairs. Modern kitchen with ceramic hobs, oven, dishwasher, microwave, fridge/freezer. Contains sink bench with water filter. The property is open plan kitchen, dining and lounge. The dining table seats 6 however there is additional outside furniture with extra chairs if required. Super relaxing place. Definitely going to stay there again! 100% wow. We enjoyed our time at Okere Falls Lake House. The house was large and roomy but a bit dated. Everything was nice and clean and bed comfortable. The area in general was very quiet and yet only about a 10 minute drive from Rotorua. There was a fantastic licenced store very close by . We would stay here again. Great location. The kitchen is fairly new and modern. The entire house needs a good cleaning and tidying. The downstairs bedroom smells damp. Lovely and peaceful location. Great kitchen and living space. Plenty of space, quiet location but still close to everything. Thoroughly enjoyed our stay here. It was wonderful to have you stay and we are glad your enjoyed your time. Thank you for your comments. Great place very homely with everything that was required. Thanks.